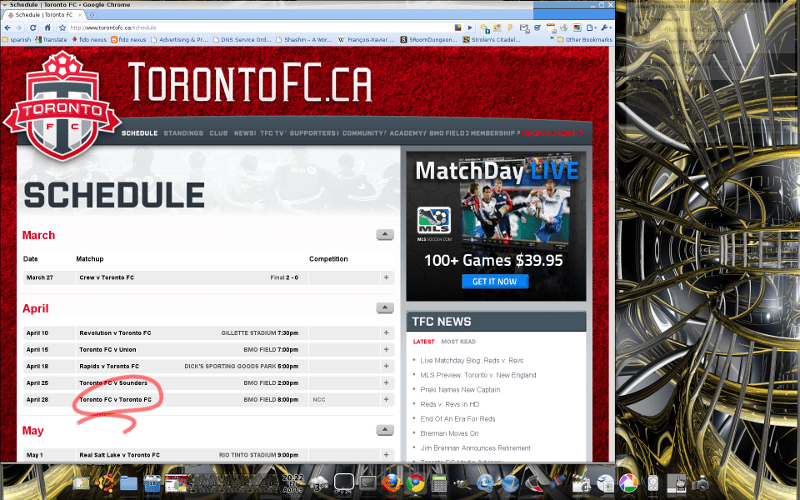 Looks like Toronto FC will be playing with themselves on April 28. Supporters groups will have to double in size. I wonder if it will be a wash points wise?